There have been many discussions over the last several years regarding Bossier’s growth and the reasons for it. So, is business in Bossier really booming? “True growth is measured by opportunities for citizens and families to thrive in their community,” said David “Rocky” Rockett, director of the Greater Bossier Economic Development Foundation. Rockett’s job is to secure economic projects and new businesses for Bossier Parish. He points out the area’s major industries have been oil and gas, manufacturing, medical and agriculture. But the rise of the knowledge based economy has seen diversification and increased opportunity in those same industries. 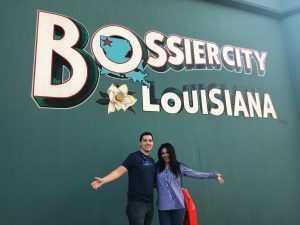 “We created an avenue to slow that leakage of talent out of Louisiana by creating new opportunities for work in Bossier that were unique to our area,” Rockett said. He says a focus on top notch education, infrastructure improvements and quality of life upgrades, with emphasis on police and fire safety, have drawn residents to the area. Which in turn draws more retail opportunities. 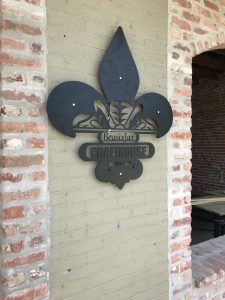 One of those new businesses providing entertainment and experiences for locals is the soon-to-open BeauxJax Crafthouse and Rougaroux Bar in Bossier City’s East Bank District. 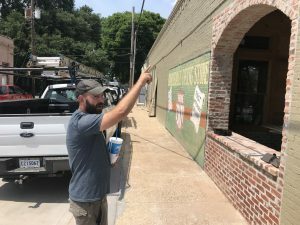 The casual dining, Cajun-themed restaurant will feature a large bar offering beer, specialty cocktails and adult shake options with live music, and indoor and patio seating. The bar is an adjoining 21-and-up game room to feature a saloon style bar, pool tables, darts and video poker. BeauxJax is no stranger to the area. They have a food truck that traveled all across Bossier and Shreveport, even building clientele by taking their food truck to subdivisions in north Bossier. Hays and his partner/chef “Peanut” ran a small eatery on Cross Lake in Shreveport, but they believe their new spot provides a centralized location for their clientele in Bossier and the clientele across the river in Shreveport. The BeauJax crew got a taste of owning a business in Bossier when they expanded to offer food exclusively to General Dynamics Information Technology (formerly CSRA) staff and clients inside the building at the National Cyber Research Park. It showed them they had an audience for their food. The vision for East Bank and the city’s willingness to work with them caused the business to fully embrace a brick and mortar in Bossier. Hays looks forward to the opening of his business in Bossier.